After a long 16hrs flight time, we finally touched down at San Francisco Airport at 1030am. Immigration was quick and smooth as there were not many tourists. After immigration, We took the economical BART to Union Square. A one-way ticket from SFO to downtown is US$8.65. The train journey was smooth and fast and the train was practically empty. We arrived at Union Square after half an hour and it was a very short walk to Hebert Hotel. Hotel Hebert was a last minute booking and was glad that there was a big room to accommodate 5 ersons. Email responses to queries were fast. Room was big with two queen beds and so was the price. The room could accommodate a rollaway . I paid 331 USD plus 60 USD for the rollaway. The room only has 1 bathroom and shower with no breakfast included. Since it was a last minute choice, I cannot complain. Shower Pressure was strong and water was hot! 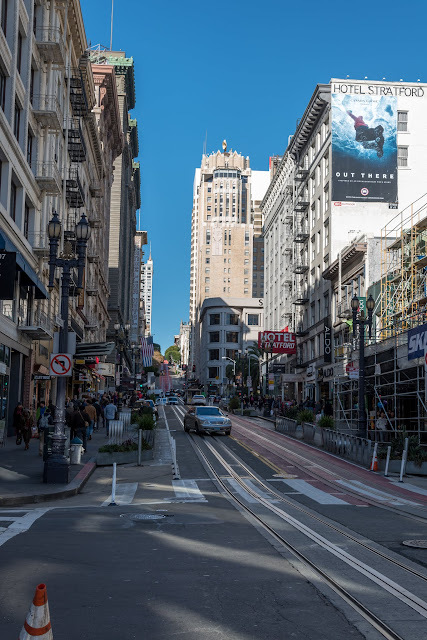 The hotel is very near the BART station and the Union Square. The trolley stop is right in front. The hotel is in a very good location but no breakfast was included in the price. But there is a Burger King few steps away. Walgreen is just beside the Burger King. There were many shops and restaurants around the hotel. Hotel was clean and beds were comfortable. The floor was sticky, not sure why. There was no aircon in the room but there are ceiling fans. Water pressure was strong and water was hot. Overall, a pleasant hotel. If the price could be lower considering not including breakfast, it will be perfect! The hotel was very nice to let us check in early around 11 plus. 2 queen beds with ceiling fans. TV between the wardrobe on the left and bathroom on the right. Entrance to the room. Another wardrobe on the way in. Very basic bathroom & toilet. It was big though. Stairways in Hotel. The lift was quite fast.